One & Only is undoubtedly renowned for its portfolio of classy and exotic resorts combining exclusivity with unpretentious fun. So whilst in Cape Town, I took the opportunity to check-in at the city’s V&A Waterfront One & Only property. 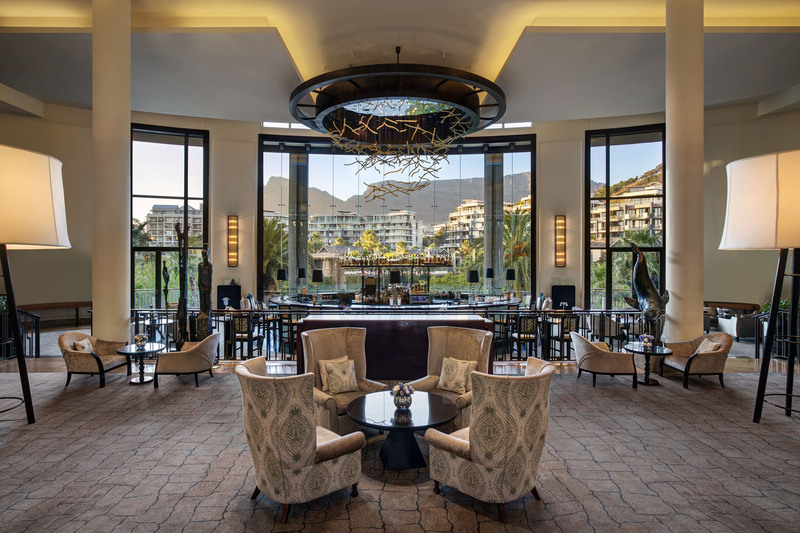 Home to Africa’s only Nobu restaurant, as well as a brasserie-style eatery by renowned South African celebrity chef Reuben Riffel, the hotel not only promises a stylish night’s sleep but great food too. There is an exotic spa on the resort’s private island; whilst the resort pool promises laid-back style with bespoke, poolside cabanas by African fashion brand Lalesso. This is certainly a case of location, location, location; for guests looking to enjoy the attractions of Cape Town’s Victoria & Alfred Waterfront urban playground, then it doesn’t get better than this. The historical port area has been transformed into a vibrant commercial centre of restaurants, mainstream and designer shops and a choice of hotels. It’s a safe and fun place appealing to both city residents and visitors alike – and there in the heart of it one finds the One & Only Cape Town. The hotel has a real luxury resort feel – with striking design features, contemporary art, bespoke furniture and bold detailing. 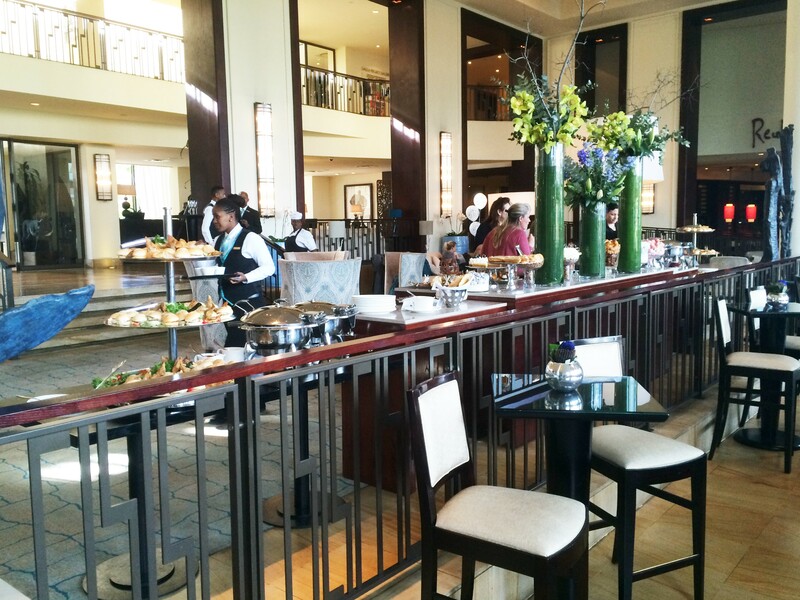 The lobby has impact when you enter, and its Vista Bar & Lounge is where one can enjoy the hotel’s signature Afternoon Tea or pre- and post-dinner drinks. Check-in was professional and efficient but without much personal warmth from the team. This is a large property and the staff at the check-in desk appeared to be working to a prepared welcome script and protocol. Nothing wrong with that, but I think that for a genuine 5 star feel the team could be more natural and personalise their greetings. As one might expect from a large resort with some 131 guest rooms and suites, there is a diverse choice of categories; ten in total. There main 7 storey building is Marina Rise and is home to most of the guests suites, whilst opposite on the man-made islands is the stylish One & Only spa and also 40 more exclusive guest rooms and suites in low-rise villas. I had a Premier Marina Table Mountain Room in the main building; and it certainly delivered on its name. 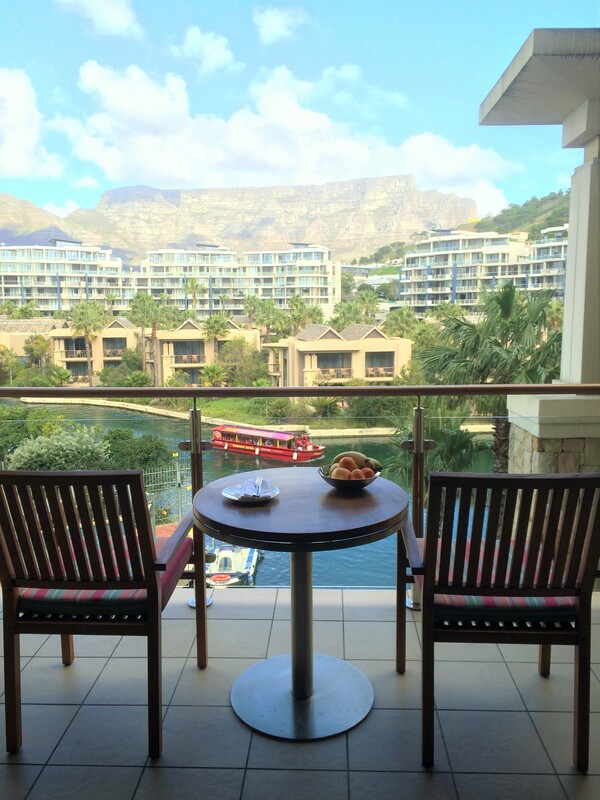 The view from the room and its private balcony was directly of Table Mountain – fabulous! The room is one of the lower categories, yet was very well-appointed and felt spacious at 63 square metres. In fact I was told that this One & Only Cape hotel boasts the most spacious rooms in Cape Town. 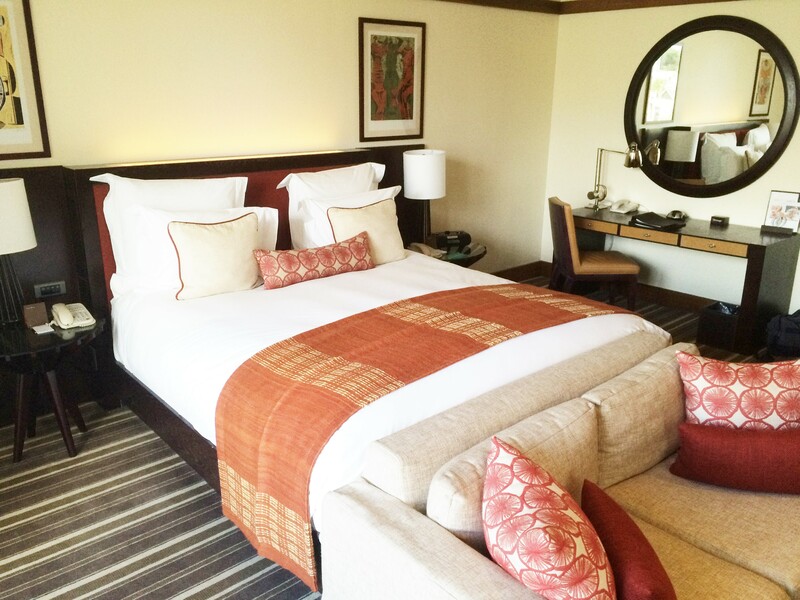 Expect a King size bed (or twins upon request), with thick mattress topper and good linens. Décor includes bold colours, artwork and dark African wood; with the bright sunshine filling the room from the two large windows it seemed to work. The room was well-presented and the design details showed, such as loads of wardrobe space with good quality, heavy wooden clothes hangers; a good sized security safe big enough for laptop and tablet; well thought our lighting including night-lighting; and a writing desk with lamp. Expect all the normal 5 star amenities such as robe, slippers, pillow menu etc. Thoughtfully the hotel had left a bottle of red wine and fruit as a welcome amenity. The minibar was excellent, with a good choice of wines and spirits and well furnished with glasses etc. There was complementary Nespresso coffee and plenty of mineral water. Probably the best part of the room was the bathroom. 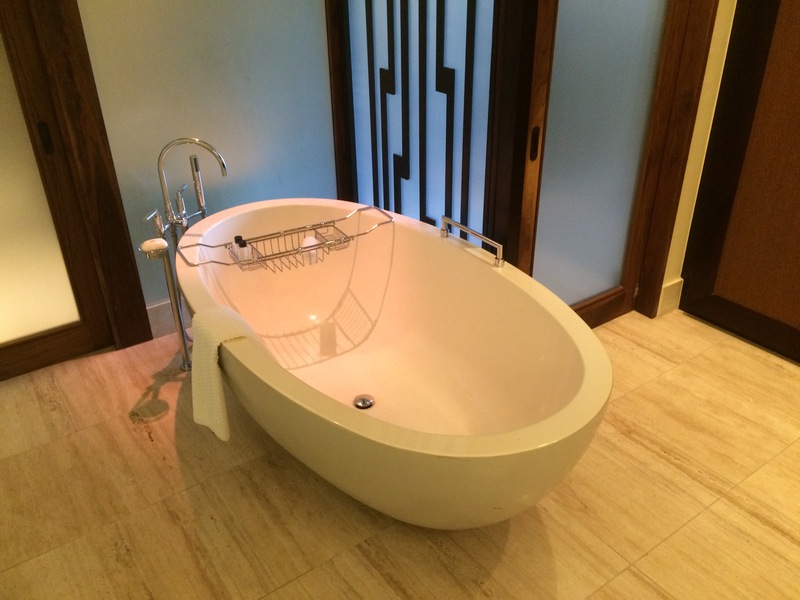 It was cavernous and featured a huge half-egg bath tub and generous amounts of luxury bathroom amenities by Charlotte Rhys. Overall I really liked the guest room – it felt generous and welcoming; whilst the view was wonderful. One & Only Cape Town is very much a family resort and the guest rooms interconnect to create family suites. A few criticisms would be that the curtains didn’t completely block out the terrace lighting that was automated and left on all night. Also, in the morning the house-keeping staff were noisy and chatty in the corridor outside waking me early. On one of the resort’s private landscaped islands is where one finds the spa – walk across the bridge and enter a world of lush sub-tropical vegetation and trickling fountains. 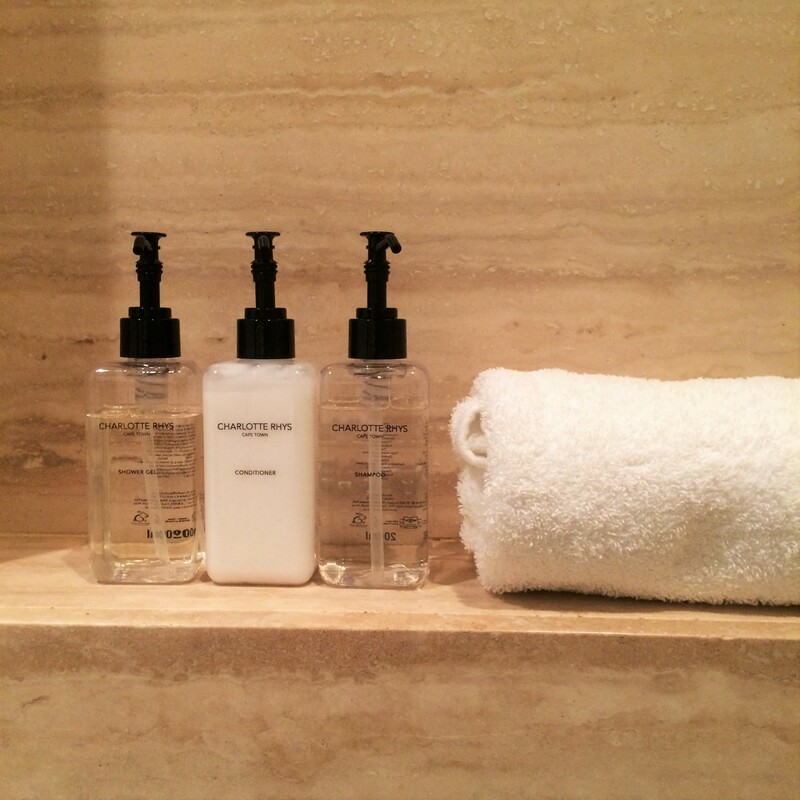 I have to say I was really impressed by the spa, and the spa director is friendly and professional. It’s a real urban oasis, and probably one of the most stylish parts of the resort. Design is contemporary, but as elsewhere across the resort, colours, and materials reflect the continent of Africa whilst also fusing elements from Asia. There are 12 treatment rooms, so despite the size of the resort, getting an appointment is feasible. But when it comes to food then of course I am first in line to get a table. 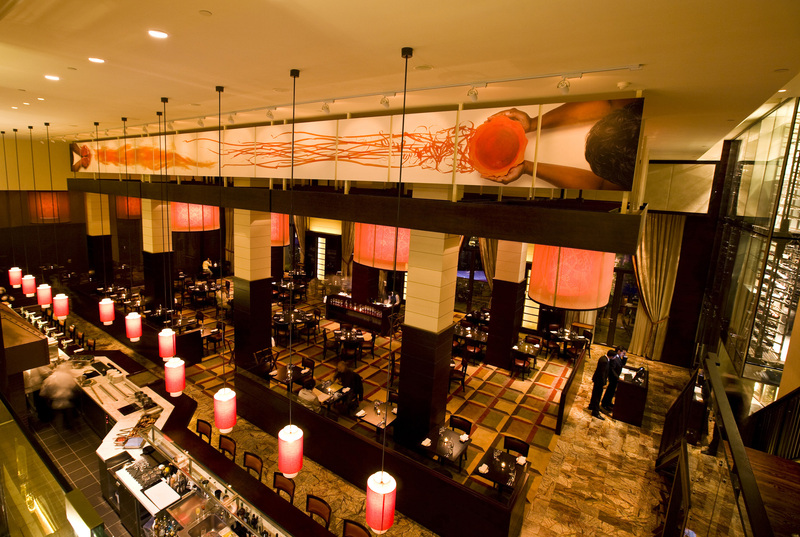 There are two destination restaurants in the resort; the international Nobu, offering its acclaimed contemporary Japanese cuisine with Peruvian influences; and also Reuben’s. I had supper at Rueben’s – it’s an informal brasserie space, to which the South African celebrity chef is overall executive chef, visiting the venue regularly throughout the year and hosting culinary events. The menu offers starters and ‘Table Toppers’ plates for sharing. 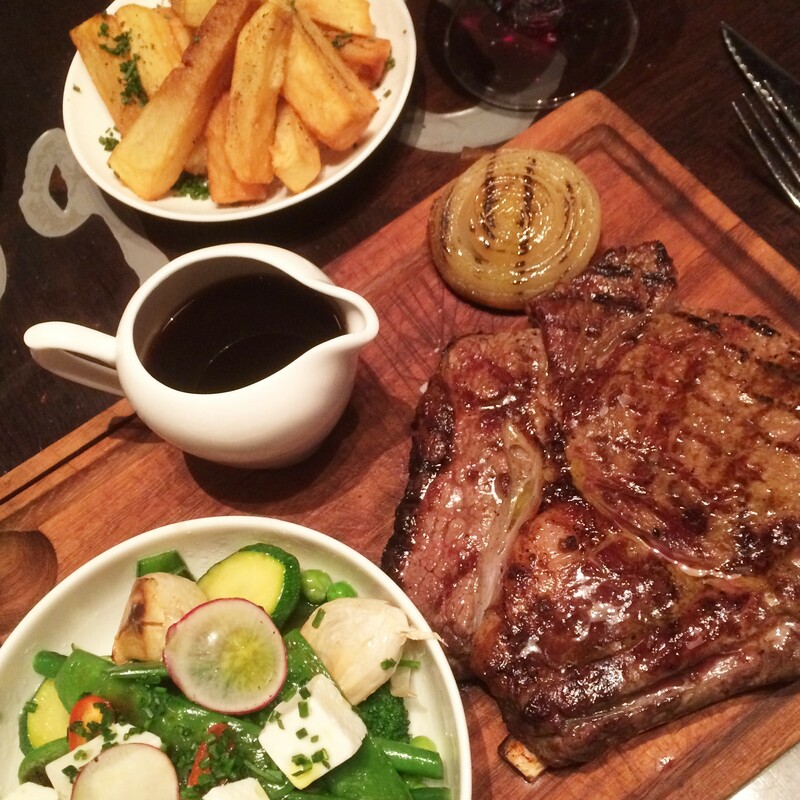 The ‘On Fire’ section offers steaks, seafood and fish from the grill whilst other main dishes include Springbok, Karoo lamb and vegetarian choices. Signature burgers and salads complete the menu. Our evening’s food was not gourmet; more family-friendly bistro-style plates, but it was tasty and appetising and served by a friendly team. Musa, our Sommelier was excellent and suggested some excellent South African wines. The best plate though was the cheese plate which was delicious. 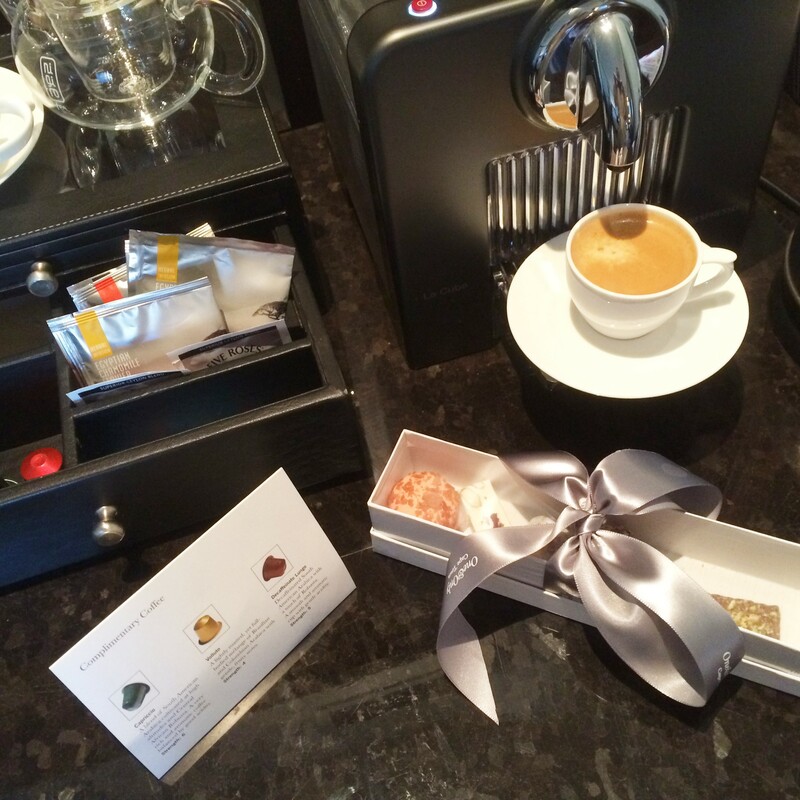 Coffees were served with exquisite petit fours, including chocolates, nougat and macaroons. 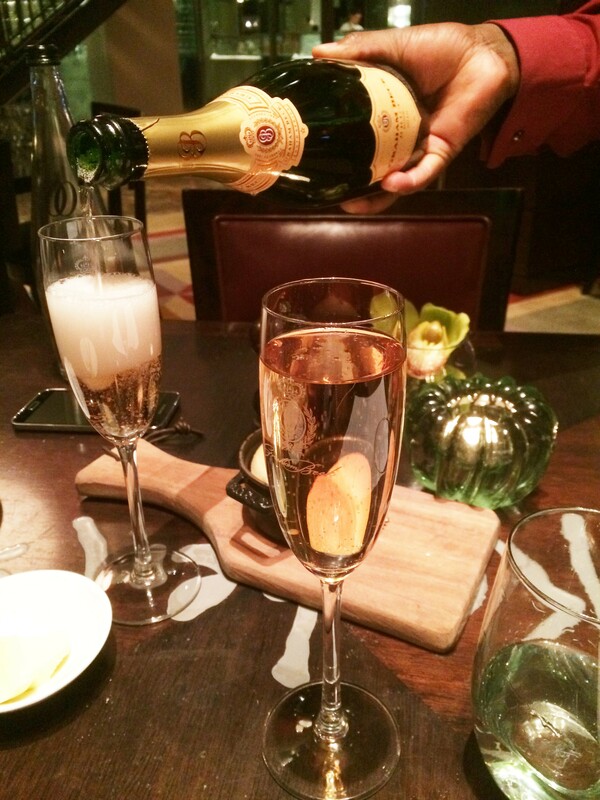 We didn’t finish them, so our waitress had them gift wrapped to take to the room – a very thoughtful touch. My main criticism of the restaurant would be that the smart/casual dress code was not effectively enforced. Other guests were arriving for dinner in sportswear and flip-flops, which I don’t think is appropriate for dinner in a 5 star resort. I accept that this is a relaxed family-friendly resort, but it just felt a little low-end – the atmosphere was more of a pool side eatery than a celebrity chef restaurant. 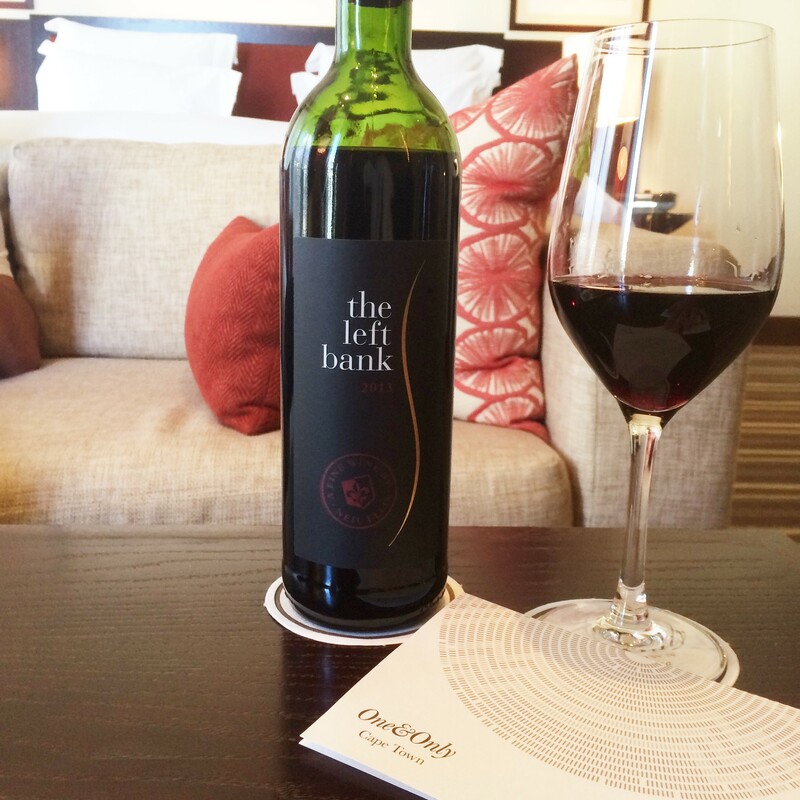 The Wine Loft above the restaurant offers the opportunity to enjoy the extensive wine list in a more elegant environment. 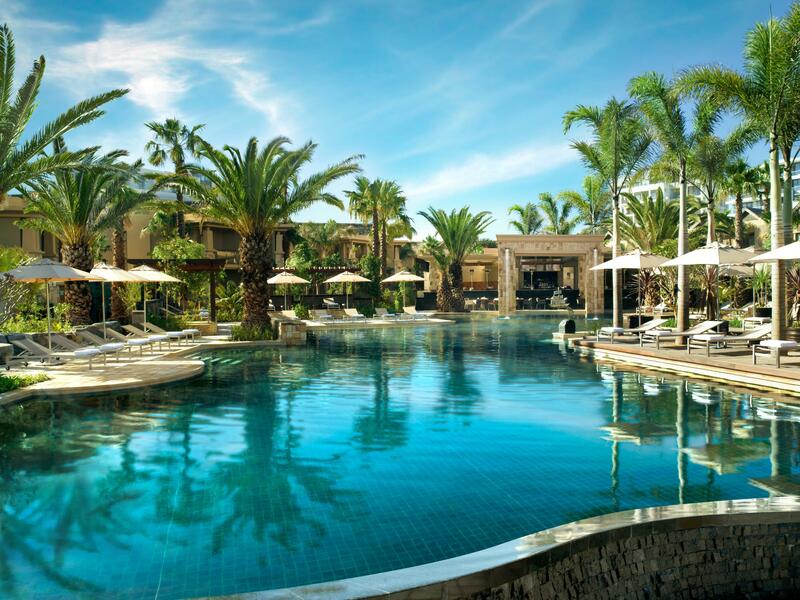 One & Only is certainly one of the most well-known resorts in Cape Town and certainly boasts a ideal central location, with generously-appointed rooms and up-to-date facilities and plenty of South African style – I’d recommend it for a family city break.